The best landscaping companies choose iCREWtek for one good reason: It works. 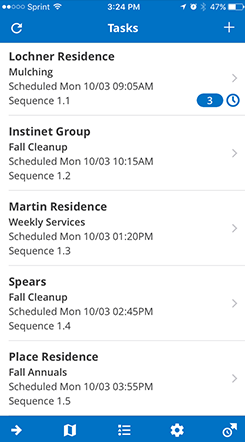 The mobile app companion, iCREWtek, quickly connects the office with operations, letting employees focus on productive work, not paperwork. iCREWtek is only available to Asset software users. Organize work in a flexible grid, making it easy to identify what needs to get done now. All information needed for the day is sent to the crew leader’s mobile device. Job cost detail, time, material, site notes, and more, are uploaded automatically in near real time. Administrative data entry is virtually eliminated. Data is simply reviewed and posted. Wishing you could implement software into the hands of your crew leaders to help operations run more smoothly and profitably? 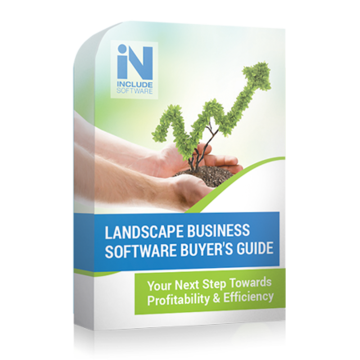 There are a lot of programs and apps that promise they can make it happen, but do they really know the landscape industry's unique challenges? At Include Software, we want you to find a solution that works and is easy for your team to learn. So you can choose the right tool for your team, we've created this helpful guide to compare business software side by side and make a confident choice. So far, things are going great with iCREWtek. The production team has really embraced the move away from paper processing and on the admin side we are seeing the improved efficiency now. I would estimate that we're saving 80-90% of the time it used to take to process timesheets.